It’s a real thing. And without discussing monkey to man, there are examples in nature where species have obviously evolved for survival. 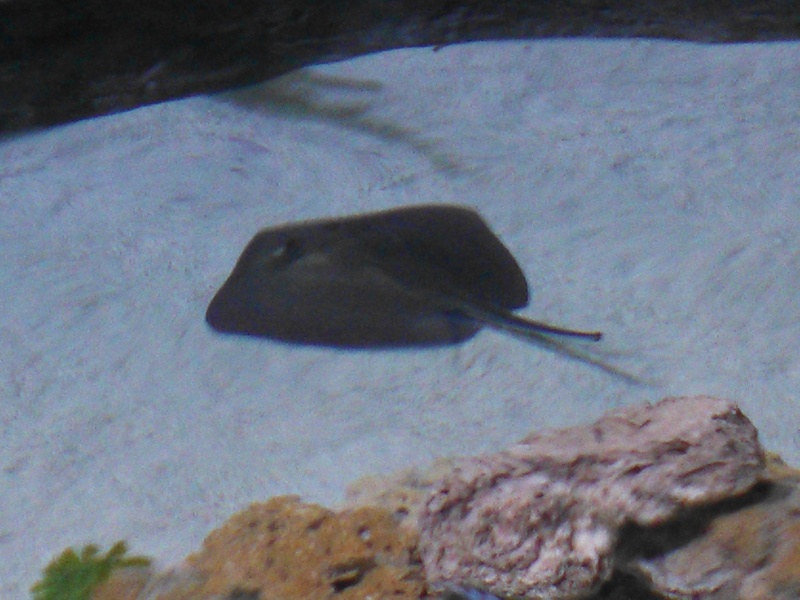 A Sting Ray- A shark that decided that hanging out on the bottom was cooler. A trip to the local aquarium revels animals in so many different varieties it dizzies the mind. Obviously, there is no one design of aquatic animal but instead many with specific designs. These animals have learned to survive deep depths, limited food sources, great temperature ranges, and whatever other variable you can think of. We watched a film on the Galapagos Islands. Again, animals were introduced and the ones that survived were the ones that evolved and learn how to feed. We attended a street fair yesterday. The majority of the vendors seemed to be ordinary people who had turned interest into opportunity. They spent long hours under their sunshades, talking, showing, and selling their wares. My guess is that most have a “day job”. These people, however, spent their Saturday to follow their passions in order to move ahead, gain some extra income, and possibly live a better life. Some are already doing it. Am I witnessing an evolution? I know many are unhappy with the plight of the middle class. Some with the treatment of employees by corporations and employers. Some by the difficulty to earn a “living wage” at jobs that they have trained for, dreamed for, and spent a lot of tuition money learning about. As the industrial revolution era ends and a new revolution begins. I believe those who evolve and figure out where the new feeding grounds have located will be those who succeed. Those who continue to adhere to the rules of yesteryear, might find the future to be a big deep ocean.